← Why would NDP foreign affairs critic legitimize Israeli racism? Canada’s Prime Minister would like us to believe that the ideology that shaped Israel is designed to fight anti-Jewish prejudice. But, even when anti-Semitism was a significant political force in Canada, Zionism largely represented a chauvinistic, colonialist way of thinking. At a policy level the government’s aversion to accepting post-World War II Jewish refugees was a factor in Canadian diplomats promoting the anti-Palestinian UN partition plan. An ardent proponent of the Zionist cause during the 1947 international negotiations dealing with the British mandate of Palestine, Canadian diplomat Lester Pearson believed sending Jewish refugees to Palestine was the only sensible solution to their plight. Generally presented as a response to late 1800s European anti-Semitism — “Zionism … developed in the late 19th century in response to European antisemitism”, according to a recent story on the pro-Palestinian website Canada Talks Israel Palestine — the Theodore Herzl-led Zionist movement was, in fact, spurred by the Christian, nationalist and imperialist ideologies sweeping Europe at the time. In Canada today Jewish support for Zionism has little to do with combating prejudice. If Zionism were simply a response to anti-Semitism, why hasn’t the massive decline of anti-Jewishness lessened its popularity in the Jewish community? 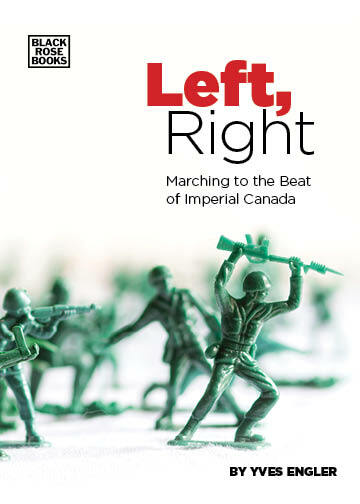 Instead, the leadership and a significant segment of Canadian Jewry have become increasingly focused on supporting a highly militarized state that continues to deny its indigenous population the most basic political rights. Between the late 1960s and mid-2000s there was an inverse correlationbetween Jewish votes and pro-Israel governments. Though they were less pro-Israel, Pierre Trudeau and Jean Chretien gained more support from Canadian Jewry than Brian Mulroney or Stephen Harper in his first victory in 2006. During the 2015 federal election Mount Royal was the only riding in greater Montréal the Conservative Party seriously contested. Even though Liberal party candidate Anthony Housefather is a staunch Israel advocate, he won his seat because of non-Jewish voters. No matter what Justin Trudeau says, Zionism and anti-Jewish prejudice have little to do with each other.